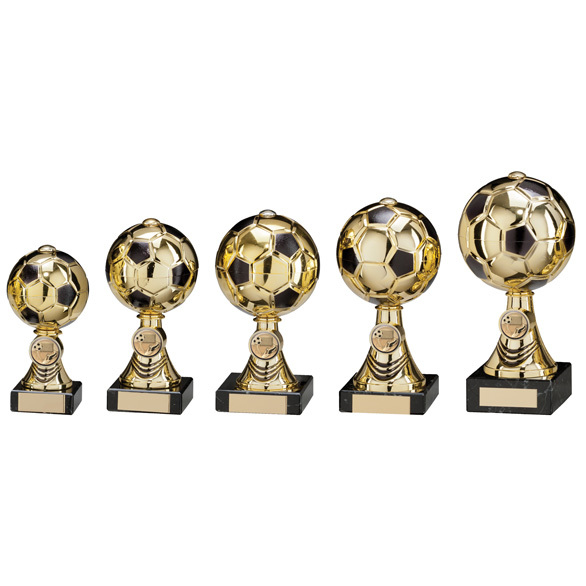 Gold and Black Sienna Football Ball Cup. Available in 5 sizes, 140mm, 160mm, 180mm, 200mm and 220mm high. 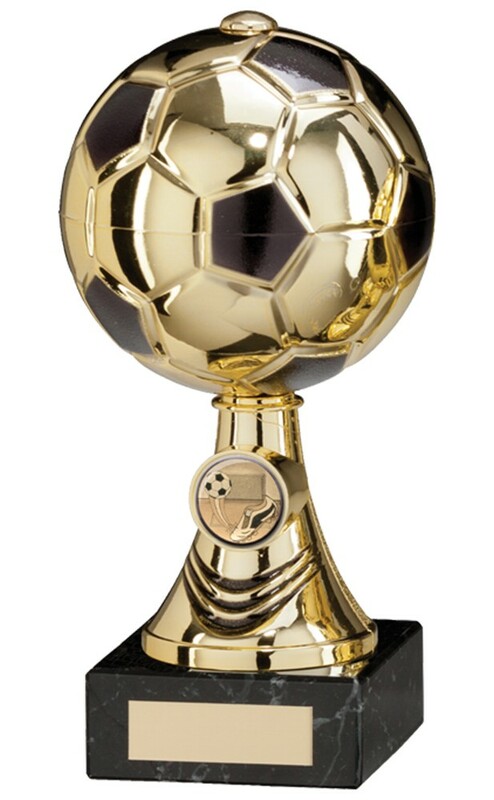 Gold and black plastic football on a gold plastic riser and mounted onto a black marble base.